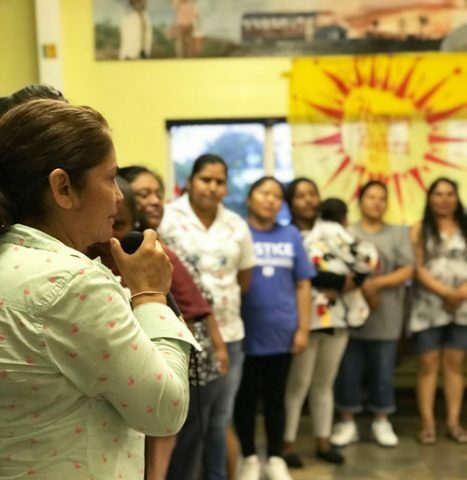 Encuentro members are welcomed by farmworker women on the opening night of the program at the CIW office in Immokalee. Each fall, the annual Encuentro takes place in Immokalee, Florida. Coordinated by the Student Farmworker Alliance (SFA), Encuentro is a gathering of students and organizations from around the country who come to learn about ways to organize protests in their communities and campuses. This year, it took place from Sept. 20 to Sept. 23. This Encuentro was special because 2018 marks the 25th year of the original Coalition of Immokalee Workers (CIW) protest for human rights. The SFA joined the movement in the early 2000s. This year’s Encuentro theme was Hasta la Raíz (Down to the Root), reflecting on the history of the CIW, the SFA and individual participants. During Encuentro, discussions were mainly group-based and strategies for organizing followed a horizontal power structure where each opinion was of equal value regardless of age or education. Encuentro students sing and chant at the Wendy’s Boycott protest. The CIW and its three ally organizations, Just Harvest USA, Interfaith Action of Southwest Florida (IA) and the SFA, are fighting to implement the Fair Food Program (FFP) in the agriculture industry. This industry consists of the farms that grow produce, the workers who harvest the produce and the companies who buy the produce for consumers. The FFP is focused on tomato farms for now, but is starting to expand to other produce and food industries, starting with strawberries in Florida. McDonald’s, Trader Joe’s, Walmart and other large corporations have signed on to the FFP. The entire list can be found on the CIW website. Joining the program means corporations can only buy tomatoes from farms approved by the FFP. The program was designed to protect the rights of farmworkers through close inspections of working conditions, educating workers on their rights, a 24/7 complaint hotline and zero tolerance for sexual violence. The program is unique because it was created by farmworkers and not an outside source, such as a lawyer. Many corporations have signed this contract when pressured by their consumer population. Encuentro is part of this consumer education. It consisted of three days of workshops, a protest supporting the CIW’s Wendy’s boycott and community building to improve national communication between students and organizers for the movement. 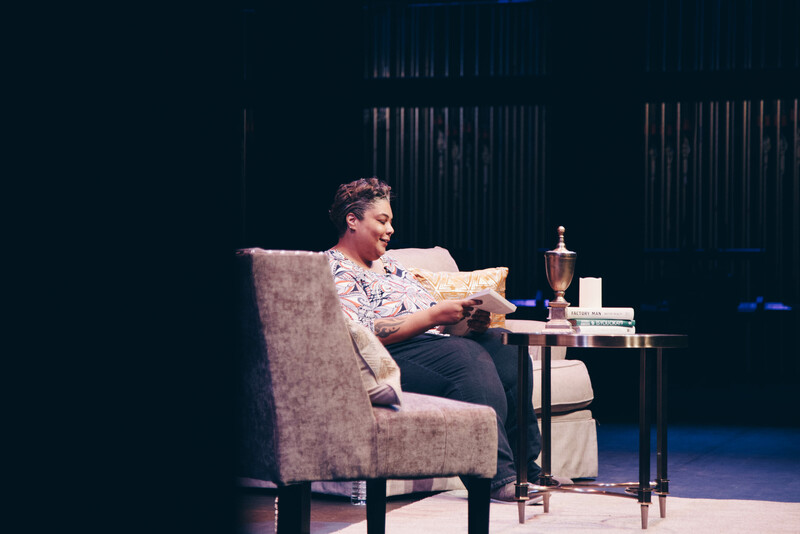 Some of the workshops covered topics such as how to start an SFA chapter at a college, interacting with the press at a protest and different avenues of educating one’s community (such as theatre performances or classroom teach-ins) about the Campaign for Fair Food. 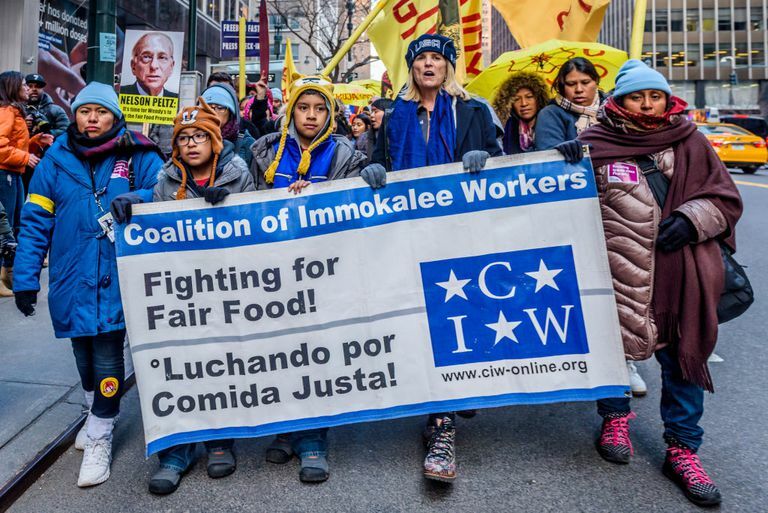 “It’s an opportunity to bring students together [from] all across the country and [from] different universities and strategize how they can support the campaign for fair food,” Nely Rodriguez, a member of the CIW, said through a translator. Concepts such as justice not charity and what it means to be in solidarity with someone were central themes of each workshop. 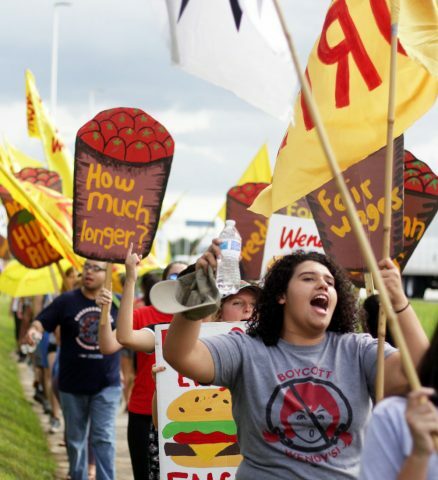 SFA and CIW members commented on how the movement, through consciousness and commitment, can enact real change. This model of committed, consistent action has won the fight for fair food in past boycotts, such as the one against Taco Bell in the early 2000s. Rogriguez and other farmworker women introduce themselves. Rodriguez’s hope for Encuentro is to raise awareness of not only the movement, but the power that students have to move the campaign forward. In the past, New College’s Students Targeting Oppressive Powers (STOP) has worked closely with the SFA and the CIW. However, the club has yet to meet this year and did not have a booth at club fair. This has not always been the case with New College students and the SFA. Students interested in getting more involved can look out for more information on next year’s Encuentro, join STOP and research internships in Immokalee for SFA members. All the Encuentro and SFA members gather outside on the final day of the conference. Leavengood received funding from the Council of Academic Affairs (CAA) to attend the 2018 Encuentro. The application for Encuentro is sent by the SFA and the registration fee is on a sliding scale donation basis, from $75 to $300 per attendee for food and housing.